Pokemon Stars is expected to be the series’ debut on the Nintendo Switch, slated to release later this year according to rumors. By all indications, it is an expanded release of Pokemon Sun/Moon on the new system- so why is there so much excitement about it? Because Stars, if real, will mark the series’ debut on home consoles (inasmuch as the Nintendo Switch is a home console) and in glorious HD. Which is why this newest tease by a new line of Pokemon merchandize, just introduced in Japan, is intriguing- the collection is very literally named ‘Look Upon The Stars’, which seems to be as clear an allusion as anything to the long rumored game. It is important to keep in mind that this does not even remotely pass for an official confirmation. 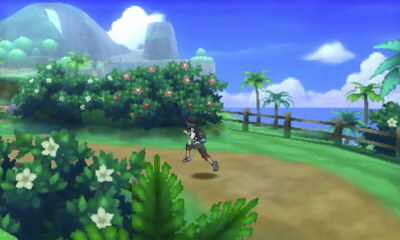 It is also important to note that The Pokemon Company has been known for such playful, cryptic hints before, such as the mysterious gold and silver balls that they decorated their studio with before Pokemon HeartGold/SoulSilver were announced, or Pokemon producer Junichi Masuada tweeting the picture of a moon without explanation ahead of the official announcement of Pokemon Sun/Moon. Hopefully, Pokemon Stars is real- we at GamingBolt will keep you apprised on whether or not it is.